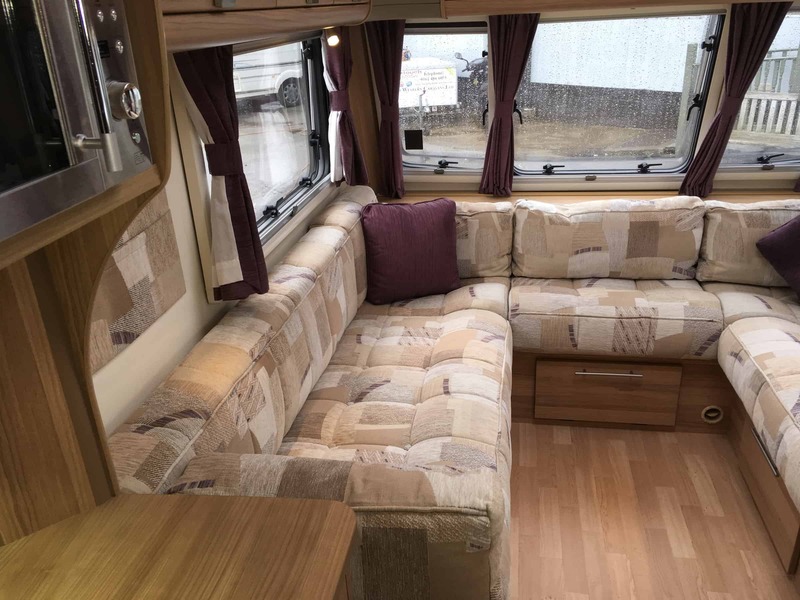 Couples looking for an affordable and desirable two-berth tourer could find the Bailey Pegasus Series II Genoa the perfect choice for them. 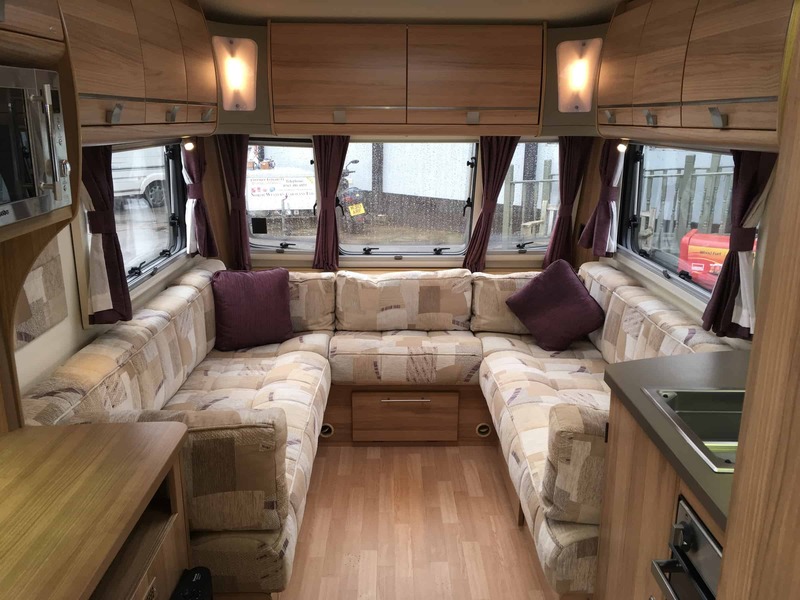 Italian-styled furniture in a Walnut veneer finish and a choice of two Belgian fabric soft furnishings make the second generation Pegasus an attractive proposition for the 21st century. 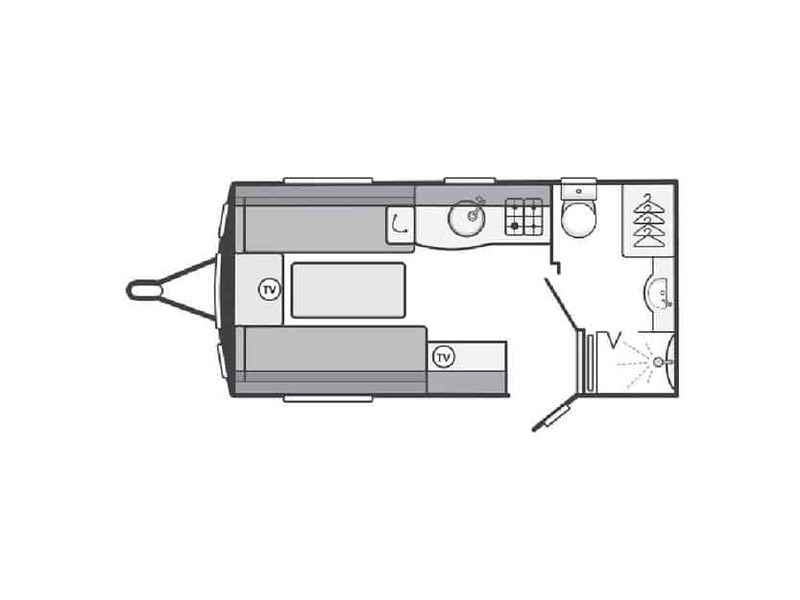 A double bed in the front folds away to create two couches and leave plenty of space for the kitchen, which features a Dometic 115-litre refrigerator with electronic ignition, a Spinflo recessed 4-burner hob unit, a Spinflo combined grill and domestic style glass fronted oven and a NEW stainless steel 800 watt microwave oven. 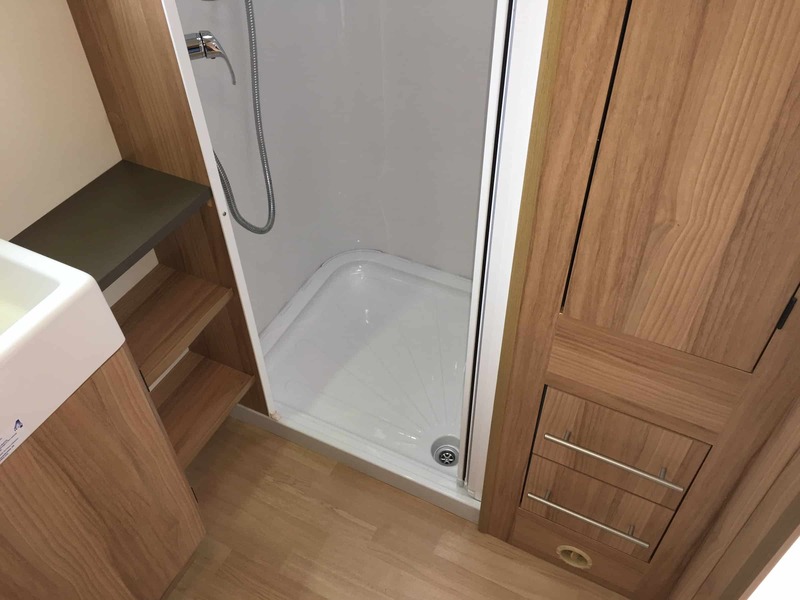 The bathroom comes with a fully lined shower cubicle with bi-fold partition door. 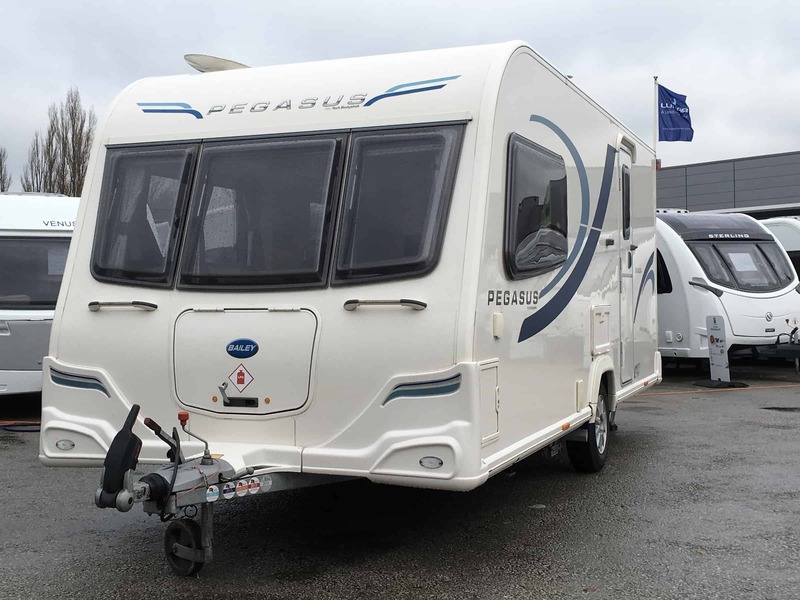 Meanwhile, the Pegasus II Genoa is constructed from an alu-tech body shell, which comes with a ten-year guarantee. 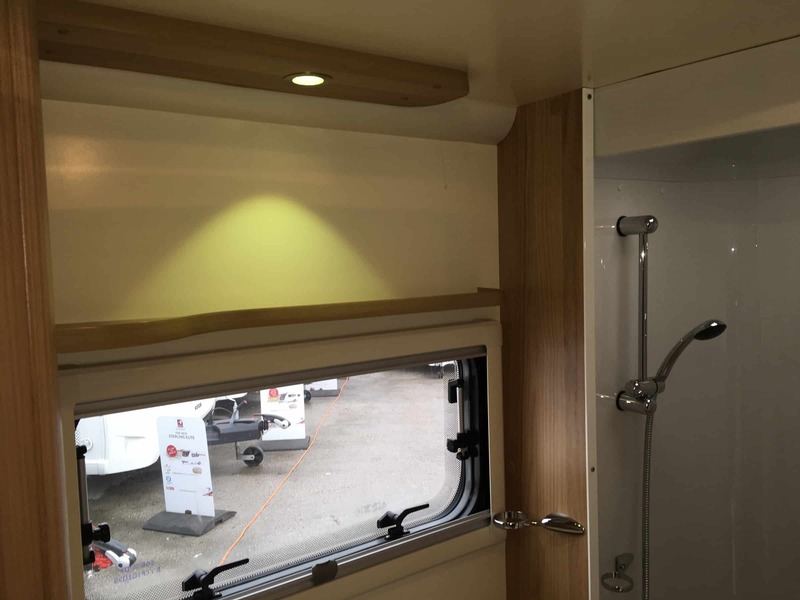 It also features grade-III standard insulation to help keep holidaymakers warm at night. 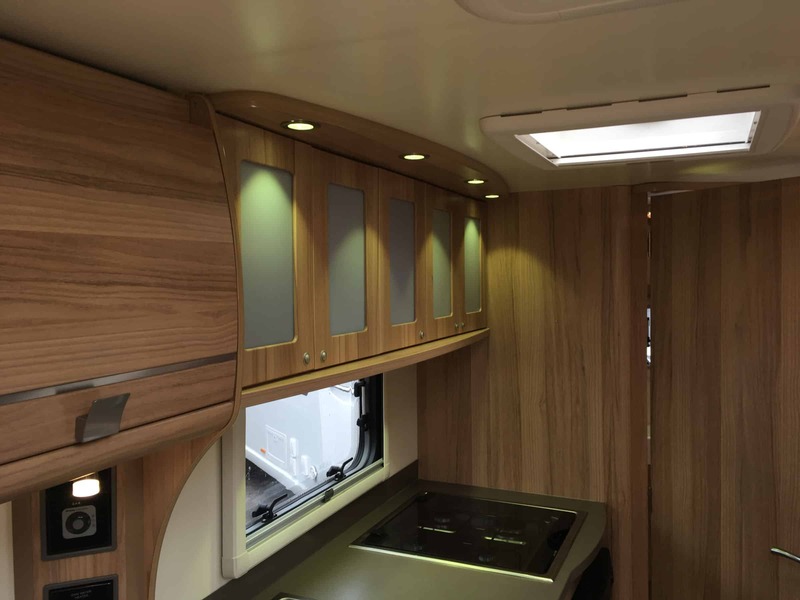 The 968 cm awning may not be the biggest in the world, but it certainly provides enough space for a few adults to enjoy evening drinks or take in the fresh air while being protected from the sun. 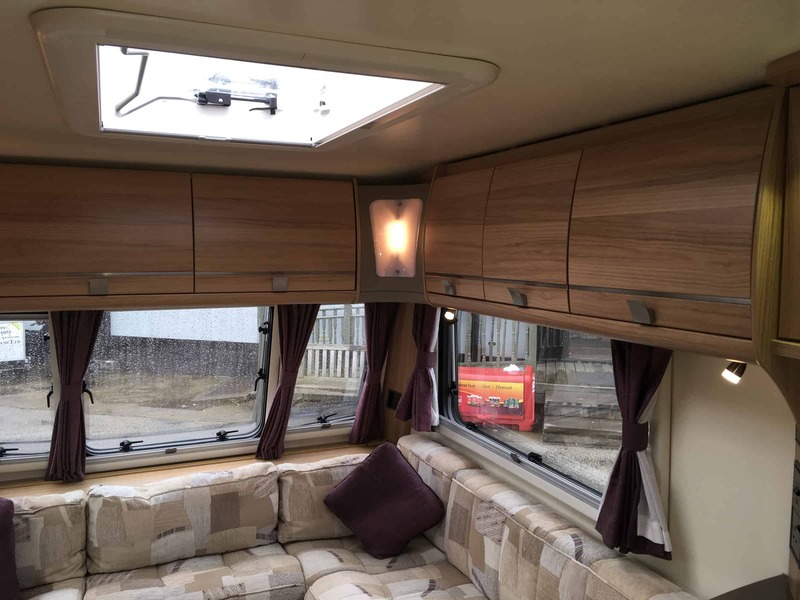 Romantics can set the mood by using the branded Radio/CD/MP3 player with iPod/MP3 player connection point and the branded dual cone stereo speakers to make the most of their couples escape, while the AL-KO Secure portable wheel lock might be a great way to protect against theft. 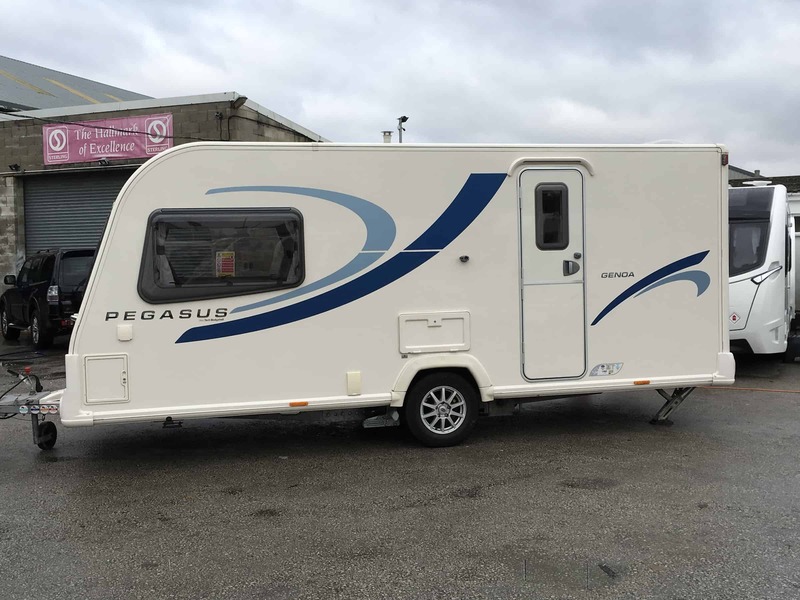 For more details, news, rumour and discussions on the Bailey Pegasus Series II Genoa, join our community group for Bailey Caravan Owners. 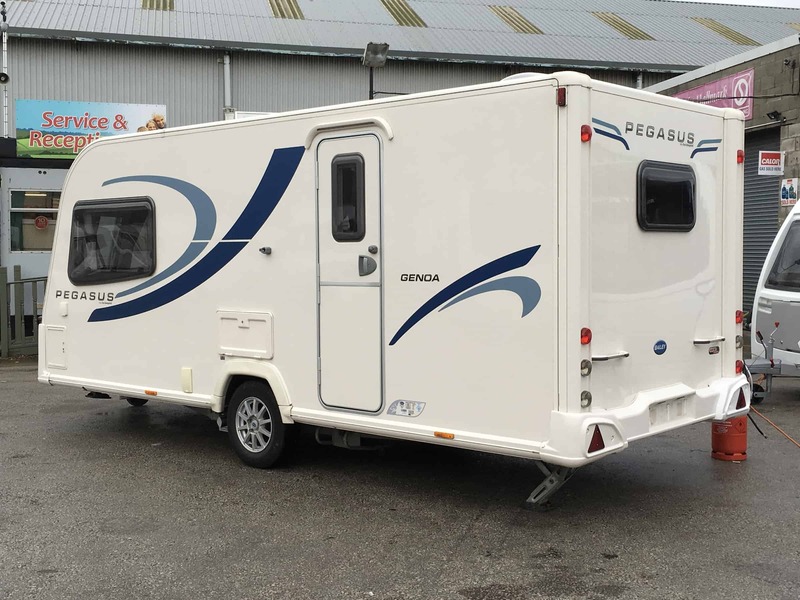 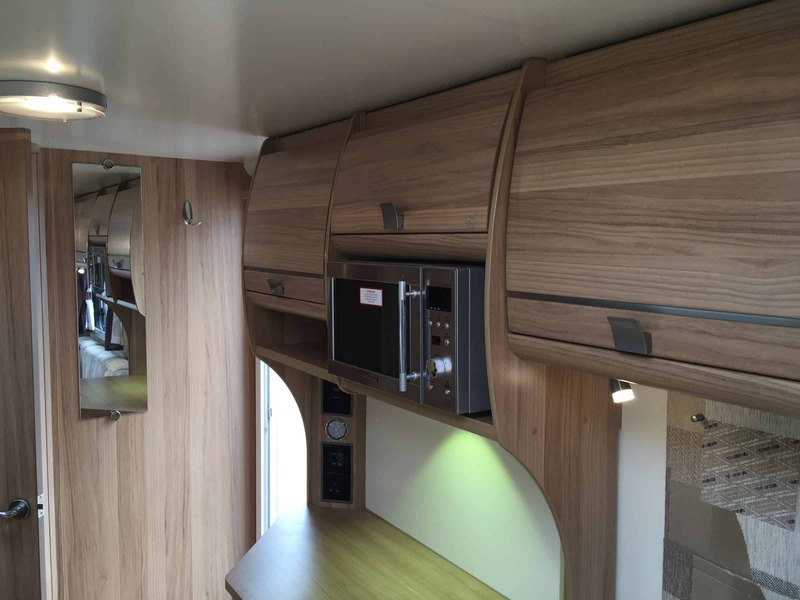 This lovely Bailey Pegasus II Genoa can be found at North Western Caravans . 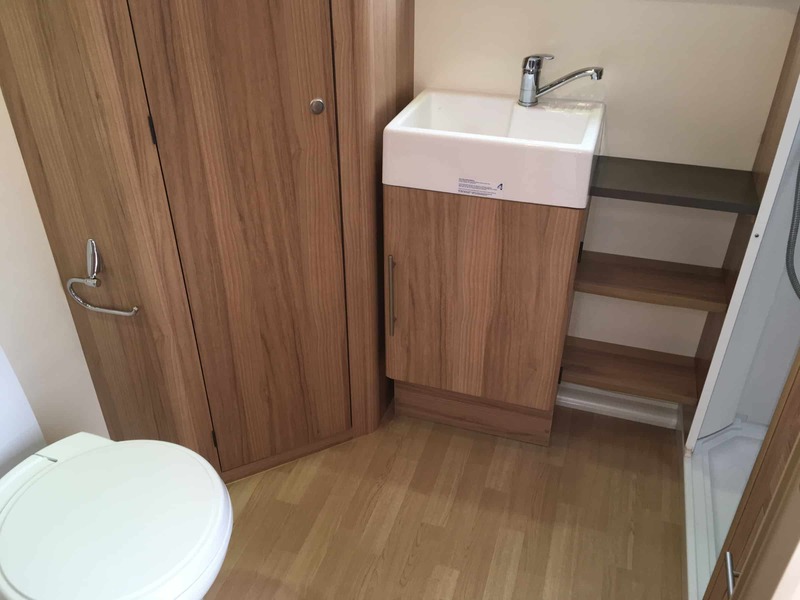 The layout consisyts of a large rear washroom with separate shower area, hand basin and wc. 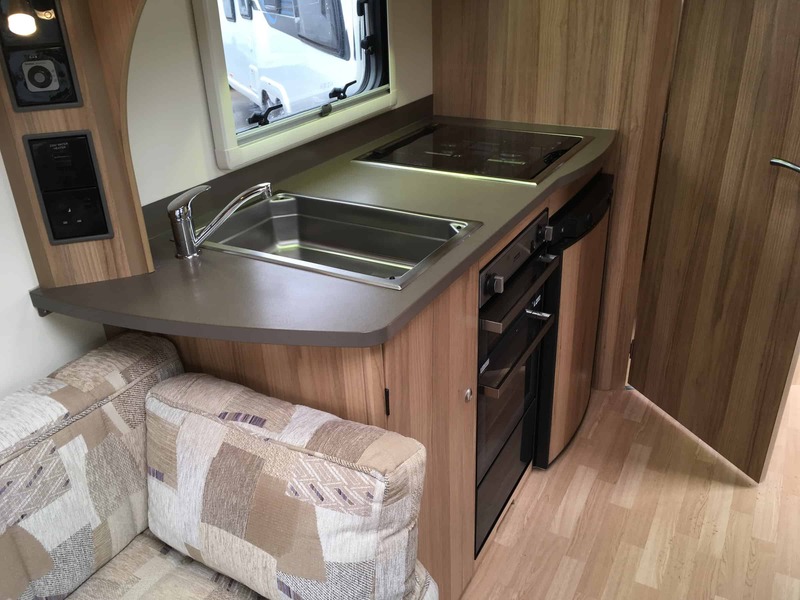 In th middle of the caravan is the kitchen with 4 burner gas hob, separate grill and oven. 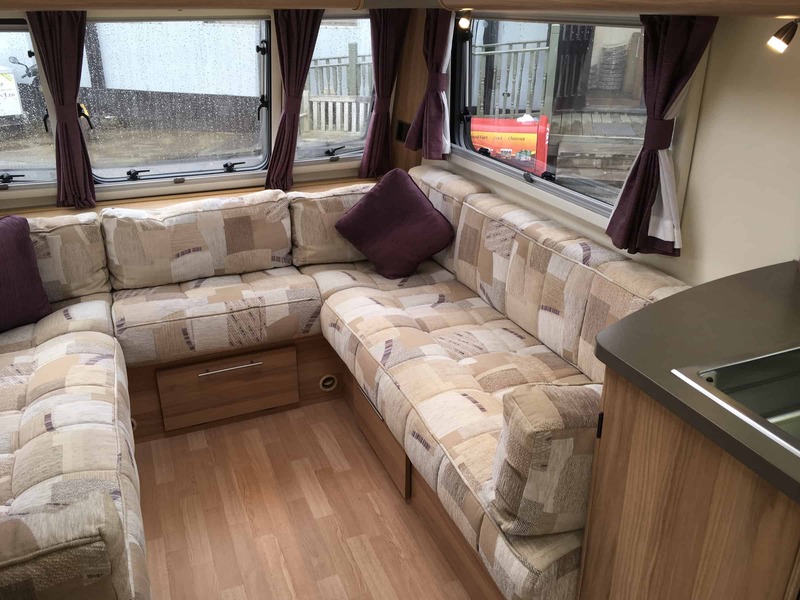 The lounge are has two long bench seats that could be used as single beds, or a large double. 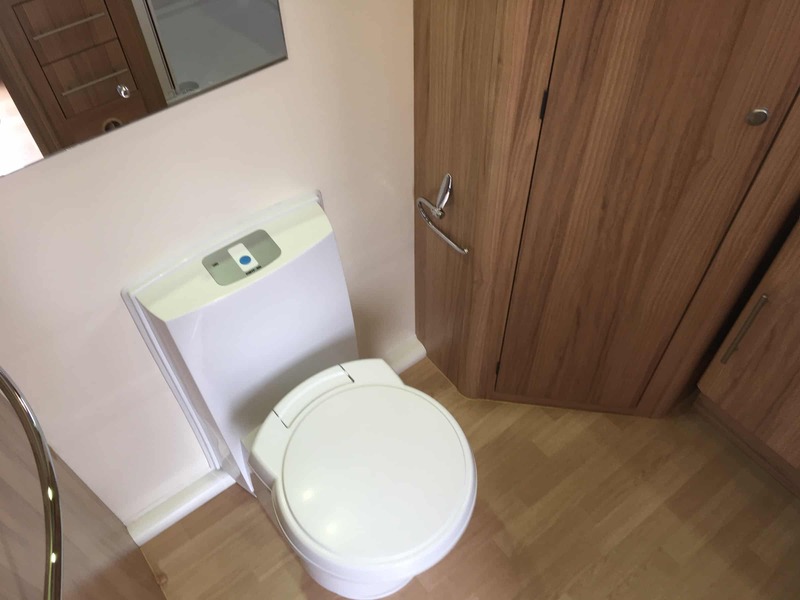 Standard specification includes, dual fuel heating and hot water system, blinds & flyscreens and loose lay carpets.